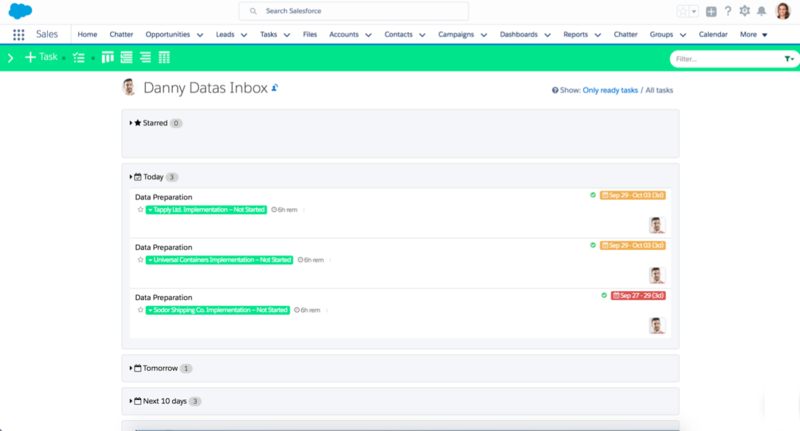 The Task Inbox is a great way to get an overview of all tasks across all Boards. Managers can also Switch Inbox with someone else to review and adjust their priorities when necessary. Switch Inbox is only granted to those who have either the Taskfeed Super User or the Taskfeed Admin Permission Set. When switching Inbox you may not see all of the other user's Tasks, as they may be working on Boards you do not have access to*. *Note: When you Switch Inbox with another user, you only see Tasks in Boards you would normally have access to. Access to Boards you are not a part of are defined by your Organization-Wide Sharing Settings for Taskfeed Board or a Taskfeed Board Sharing Rule.